Ants are amazing creatures. Instead of lungs, they breathe through microscopic holes all over their bodies, and as survivors of both the extinction that killed the dinosaurs and the Ice Age; they’re living proof that “what doesn’t kill you makes you stronger.” Unfortunately, this strength combined with Arkansas’s climate, creates the perfect storm for ants to invade your home, where they can pose several health risks to humans pets alike. Yes, it is indeed a bug’s life, but there are a few simple things you can do to make it more difficult for them to get indoors. Yes, it is indeed a bug’s life, but there are a few simple things you can do to make it more difficult for ants to get indoors. Read on. Ants have learned from Hansel and Gretel’s mistakes, and they don’t just follow breadcrumbs into your home– they follow moisture too! Drawn to leaky pipes under sinks and wet areas around toilets and bathtubs, these biting bandits can squeeze through even the smallest spaces to claim your home as their own. Remove the temptation by keeping all inside areas dry. One crumb may not seem like much, but to ants, it’s an invitation to an ongoing all-you-can-eat buffet! Ensure your house is kept clean by taking the garbage out daily and keeping food in sealed containers. Don’t forget about you cabinets and counters either! Ants are particularly attracted to the scent of sugar and grease, so be sure to wipe, sweep and mop regularly. Now that you’ve done the simple steps to keep the inside of your home safe, it’s time to secure the outside. 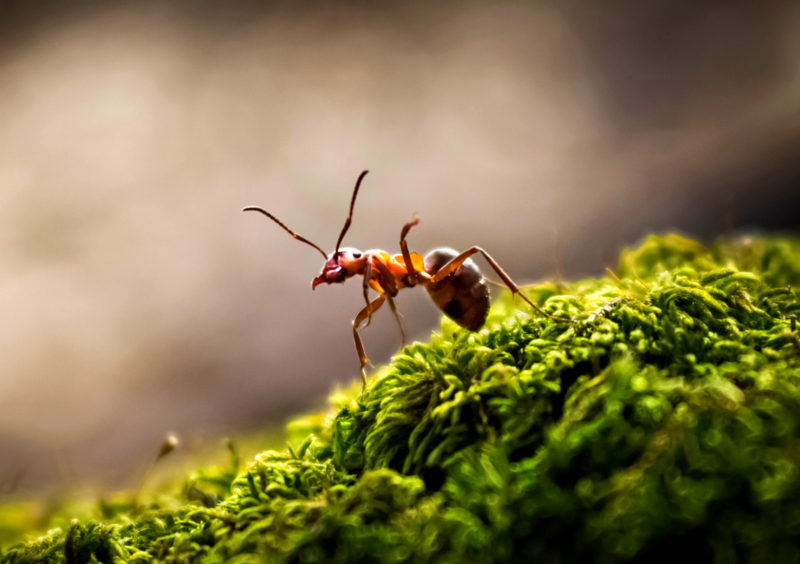 Ants can tunnel through moist wood found in your home’s foundation, deck or nearby wood piles; so keep them away by clearing the area surrounding your home. Then, make sure there’s no way for these creepy crawlies to crowd into your home by sealing cracks and openings around your windows, doors and roof. Along with preventative measures, you may need professional pest control services to evict these six-legged house guests. That’s where we come in. Contact Command Pest Control today for your free estimate!